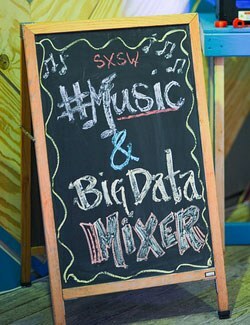 SXSW Interactive wrapped up in Austin a couple of weeks ago and, not surprisingly, big data was a big theme. Specifically, I was really energized to see leaders in other industries talking about prevention through predictive analytics. As you know, we’ve been saying that prevention is the best support (check out my last blog) since we launched ProSupport Plus and SupportAssist in April 2013—and based on demand and feedback, our customers agree. Keynote speaker Anne Wojicki, the co-Founder and CEO of personal genetics company 23andMe spoke about the future of genetics in people’s lives and how the healthcare industry–doctors, hospitals and *** companies—profits off of sick people. 23andMe provides personal genetic data and ongoing research updates for a one-time fee. Anyone can get access to their genetic blueprint (23andMe is only providing genetic reports at this time, not health-related reports) by paying $99, spitting in a tube and dropping it in the mail. With this type of a blueprint, individual healthcare can potentially shift from treating symptoms to preventing issues. In her words, "I would much rather successfully prevent a disease than successfully treat it.” Big data is at work in the healthcare industry and retail just as it is in high tech. As an example, Ms. Wojicki mentioned how Target may know that teenage girls are pregnant before their parents based on buying patterns (discussed in a blog on Forbes in detail). However, more compelling are the practical applications of using data to provide early warning of potential issues (similar to what Dell ProSupport Plus provides with SupportAssist). She even referenced the potential to embed chips in humans that could notify their mobile phones when symptoms of life-threatening conditions like a heart attack are detected. What kind of ringtone will people use for that alert? Rahm Emmanuel, Mayor of my hometown Chicago (who coincidentally attended my high school), talked about using predictive analytics to combat rodents in Chicago (which Sean Thornton writes about for Data-Smart City Solutions). Nobody likes a rat, and Chicago has had their share. So, in partnership with Carnegie Mellon University’s Event and Pattern Detection Laboratory, Chicago’s Department of Innovation and Technology set about to address rodent control in a proactive way. Based on data collected by sanitation works, the city is now able to predict rat outbreaks so they can take preventive measures to stop outbreaks before they happen. I particularly enjoyed this session, not just because of my connection to Chicago, but because it made me realize that if predictive analytics can be applied to rats, they can probably be applied to almost anything. At Dell, we spend a lot of time talking about ways to help our customers prevent issues before they happen. I definitely walked away from SXSW more inspired than ever—prevention really is the best support and predictive analytics will reshape the entire service sector in the coming years. Follow me (@jimroth) on Twitter and @DellProSupport to learn more about Dell Support.